BOULDER, Colo. (June 20, 2013) – Spyder Active Sports, Inc. the Colorado-based manufacturer of premium technical ski and active lifestyle apparel, has announced that it has made a significant update to its product distribution network in order to further support current market demand and accommodate future growth objectives. Specifically, the Spyder Distribution Network (SDN) has added a new distribution facility in Kent, Washington to enhance its service commitment to its ever-growing dealer base in North America. The objective of the new the new facility in Kent, WA is to address challenges in Spyder’s vertical supply chain and set a solid foundation for the company to continue the positive growth it has achieved during the past four years. Spyder has identified three key factors that played into the decision to onboard the new distribution facility in Washington. First, in a challenging and competitive economic environment, having a facility on the West Coast – geographically the closest place in North America to Spyder’s Far East production hubs – will help control transit costs and ensure the brand’s ability to remain price-competitive; second, having a facility on the West Coast gives Spyder a competitive advantage in transit times from its vendors in the Far East and will expedite the delivery of products to both the U.S. and Canadian Markets; and third, the proven success of the Washington facility and its personnel in dealing in a highly seasonal, high volume environment will bring new confidence to Spyder dealers that tight deadlines will be met during Spyder’s delivery cycle. The Kent, WA facility will be brought online as part of the SDN for the Fall 2013 selling season. The SDN will continue to support additional needs of dealers, sales reps, and Spyder’s corporate office with an existing facility in Aurora, CO. Renowned for integrating high-tech fabrics, fashion and functionality, Spyder is the world’s leading skiwear and mountain-based active lifestyle apparel brand. Launched in 1978 with the development of revolutionary padded slalom race sweaters, the iconic brand continues to develop progressive apparel, season after season. Rigorously tested by top athletes across the world including the U.S. and Canadian Alpine Ski Teams plus big mountain, freeski, and park & pipe professional skiers. Based in Boulder, Colorado, Spyder products are distributed in over 50 countries worldwide. For more information and to view the current collection, please visit www.spyder.com. 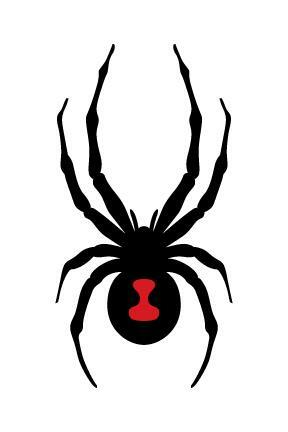 You can also follow and interact with Spyder on Facebook (facebook.com/spyderactivesports) and on Twitter and Instagram (@SpyderAntidote).